Designed by Hans J. Wegner for Carl Hansen in 1962, the smart piece of furniture fits into a wide variety of facilities. The table measuring 200 x 115 cm can seat between 8-10 persons making it the perfect choice for dinner parties with friends and families. Up to 4 unexpected guests can also be welcomed to the dinner table thanks to the additional leaves (sold separately). The oval shape is particularly well-suited for conference rooms, where meetings and discussions take place. Thanks to its solid wood construction, it introduces a natural note to any interior and a touch of elegance with its tapered legs. Therefore, the extendable CH338 dining table is an aesthetically valuable, versatile piece of furniture that can be perfectly adapted to individual requirements. Isolated product image of the Carl Hansen - CH338 Extendable Dining Table, 200 x 115 cm, soaped oak. The table can seat between 8-10 persons thanks to its size of 200 x 115 cm, making it the perfect choice for dinner parties with friends and families. 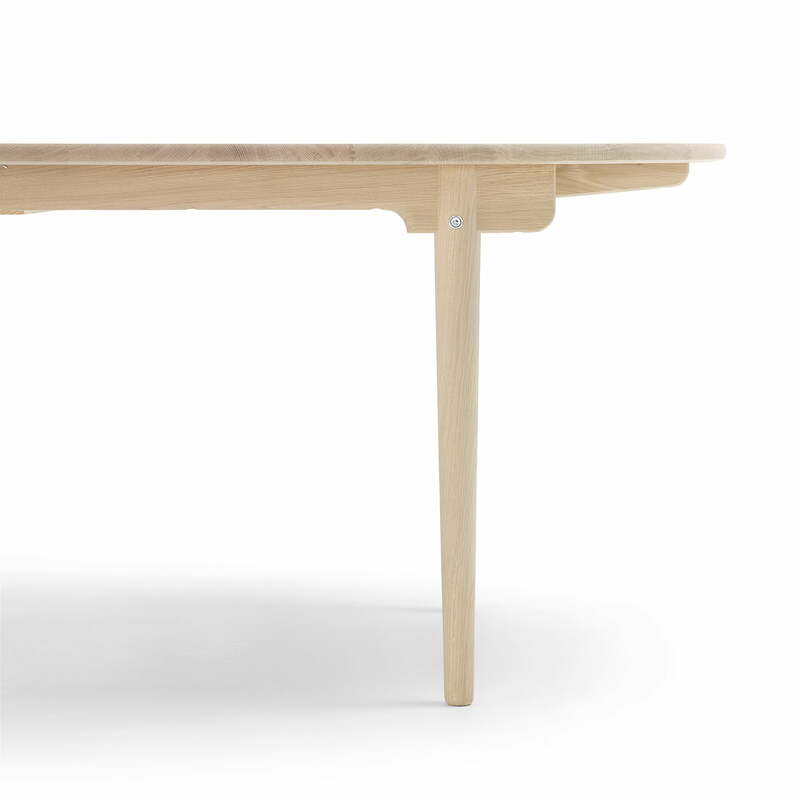 Isolated product image of the Carl Hansen - CH338 Extendable Dining Table, 200 x 115 cm, soaped oak. The extendable CH338 dining table is therefore an aesthetically valuable, versatile piece of furniture that can be perfectly adapted to individual requirements. 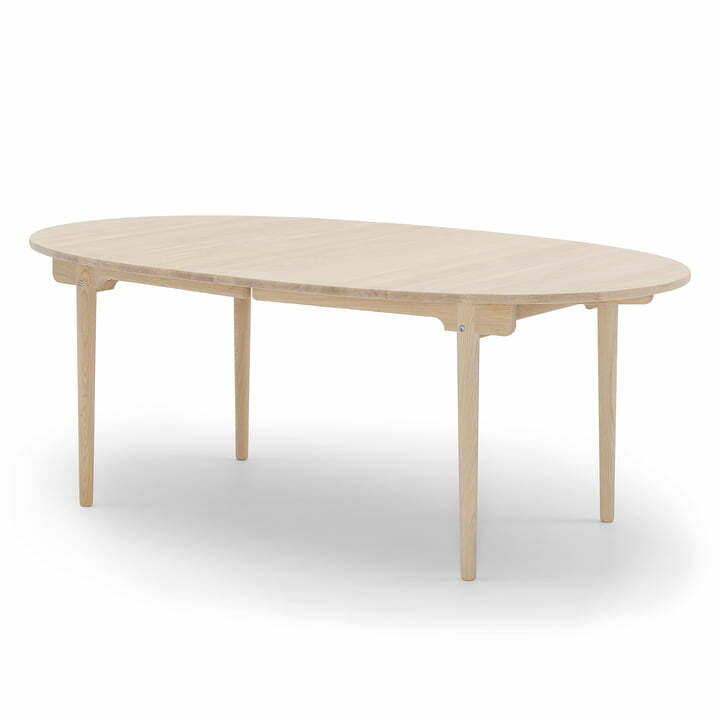 Detailed product image of the Carl Hansen - CH338 Extendable Dining Table, 200 x 115 cm, soaped oak. The table made of solid wood introduces a natural note to the environment. The narrow tapered legs gives the table a certain elegance that enhances any décor. 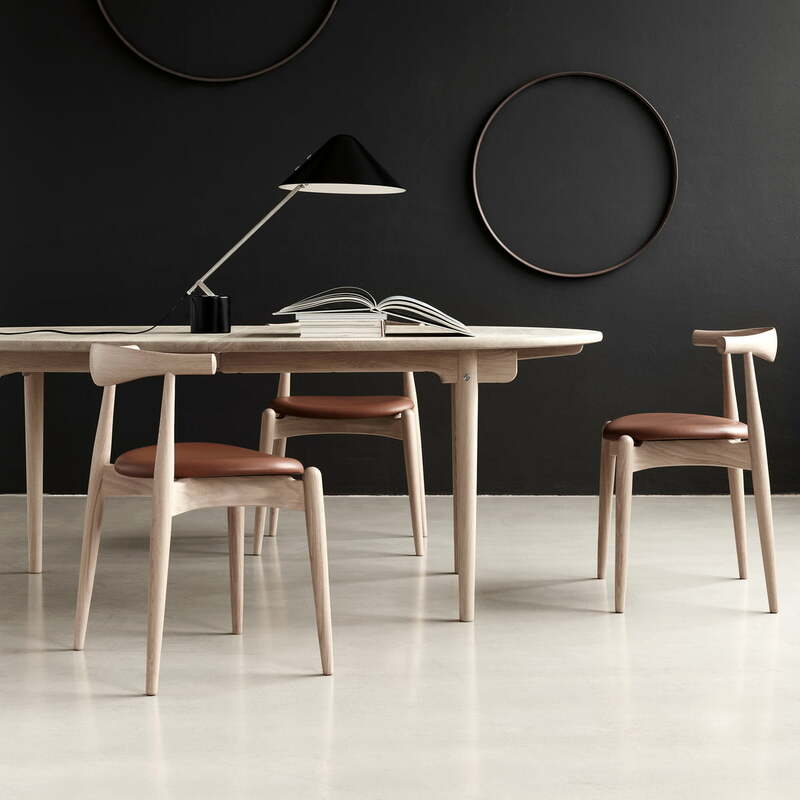 Lifestyle product image of the Carl Hansen - CH338 extendable dining table. 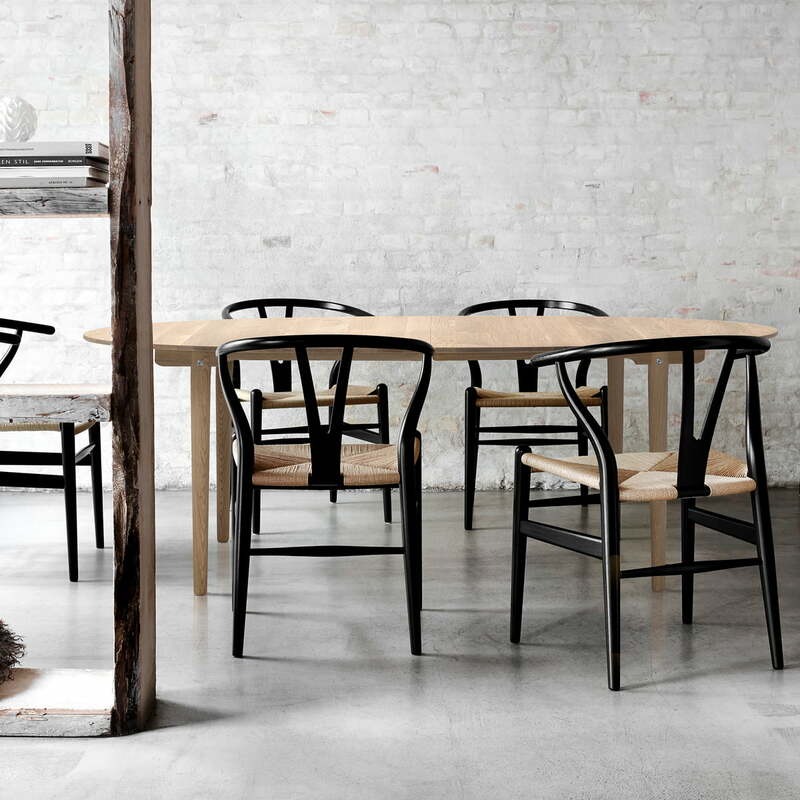 Together with the CH24 Wishbone Chair, a modern Scandinavian seating area. 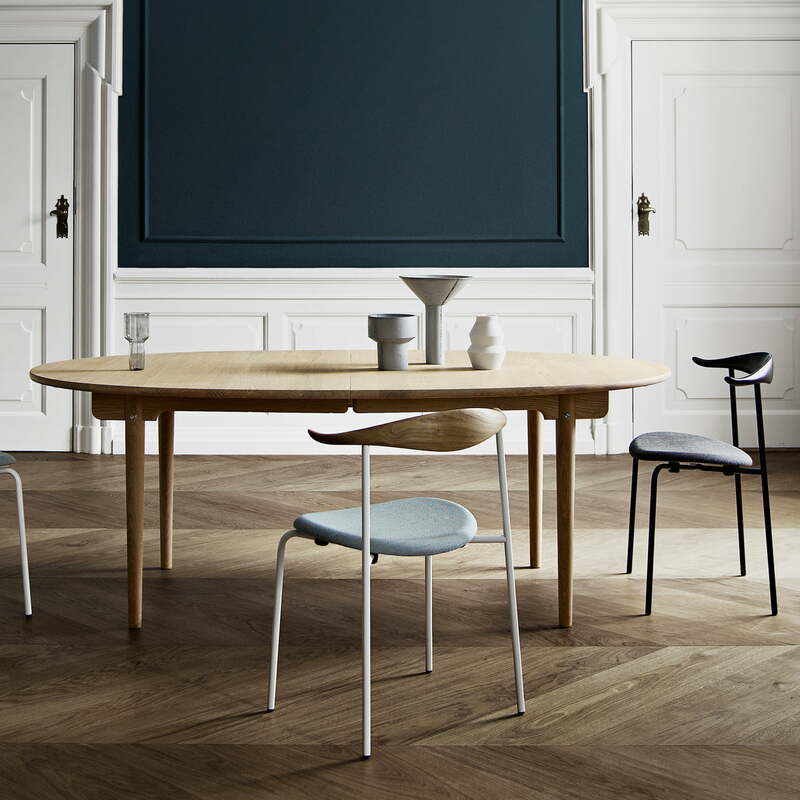 Lifestyle product image of the Carl Hansen - CH338 extendable dining table. A harmonious seating area can be created in the dining room to enjoy meals with family and friends. 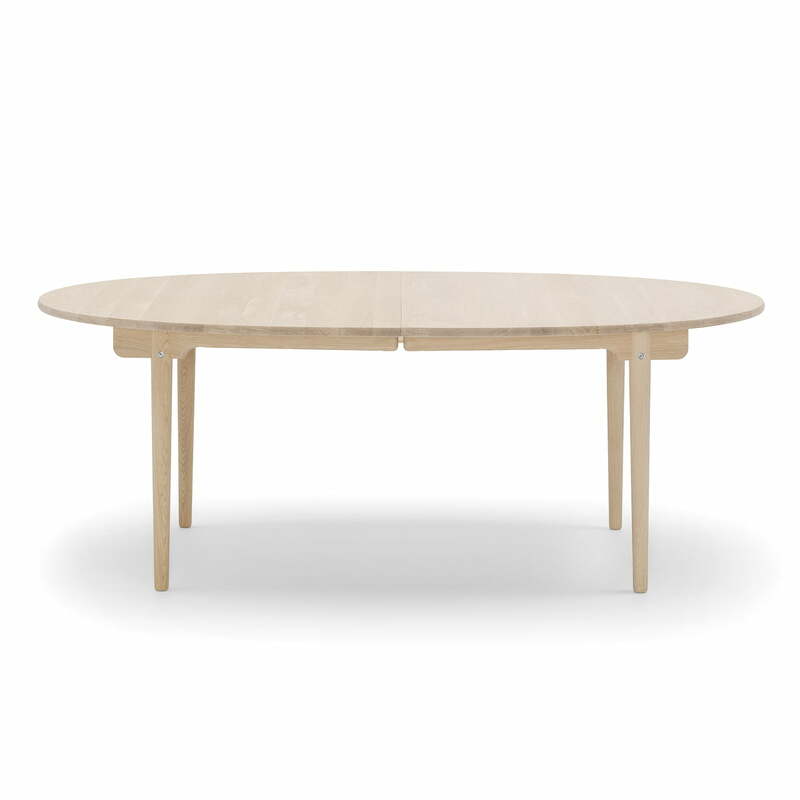 Designed by Hans J. Wegner for Carl Hansen in 1962, the extendable CH338 is a simple and beautiful dining table made of solid wood that is easily adapted to different needs.